Taylor Swift has probably never set foot in a kitchen to cook a meal. But here she is on an apron. 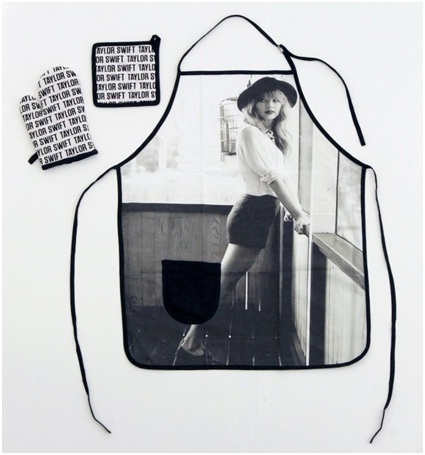 There aren't many adults who would probably wear these items in the kitchen, but it wouldn't hurt to buy this apron set for your kid so they can play pretend.